Spring has arrived signalling the start of a new year. Congratulations to all the children who have entered the Kindergarten and moved up a grade. The children may be nervous but we will endeavour to do our best as a teacher to support them. Ever since the Kindergarten was established the focus has been on vocabulary education. Humans can express their feelings when they talk. Using conversation can also deepen understanding. With all the foreign teachers at IYK we hop to improve the children’s English as well as placing emphasis on their Japanese. Vocabulary Education stems from an image which helps children understand foreign languages. Children who cannot speak freely can be supported. We hope to provide activities that can open the window to each child’s heart and help them gain enjoyment from speaking English. In the modern era it is important for children not only to be able to know and do things but for children to unlock their inner potential through co-operating and dealing with others. This also starts from Discovery Time and it is through Discovery Time that the children can transition into English, Music, Art, Letters, Numbers, Exercise and Nutrition which is the cornerstone of the Kindergarten. In order for this to happen once a week the children will play together as a Kindergarten in a special allotted time. 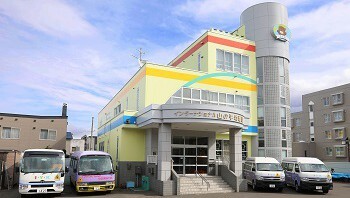 The Principal of this Kindergarten, Sugawara Kohetsu had a vision when he established this Kindergarten. A Kindergarten should be fun. Children should come cheerfully to Kindergarten play a lot with their friends, grow in body and heart and enjoy Kindergarten. Let’s have a great year together.